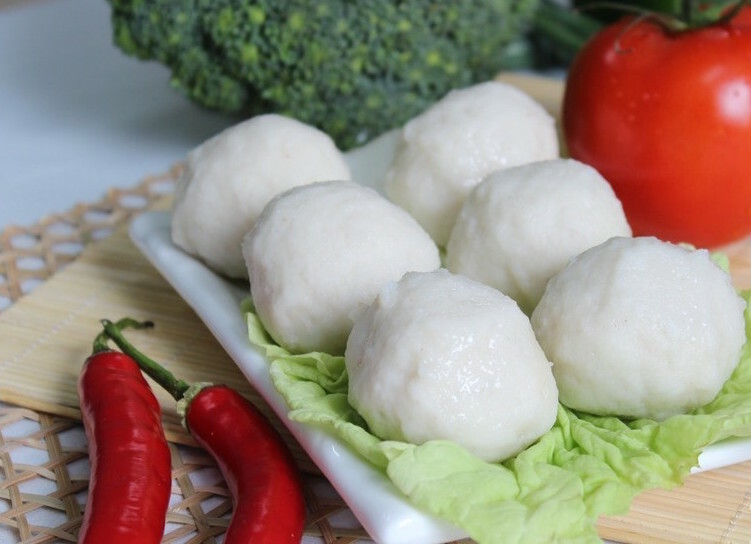 Fish Ball (Chinese: 鱼丸 Yú Wán）is a general name for ball-like fish snacks in China. It’s very popular in southern part of China, such as Fuzhou, Xiamen, Guangzhou and etc. The fish ball can be chopped fish crust stuffed with pork or without. The mouth feel for it can be soft or crispy, depending on the ingredients used. The cooked fish ball on the street is 1 to 2 Yuan each on average (usually it’s sold as 10 Yuan for one bowl, which includes 5 to 6 fish balls). It can be cooked with other ingredients or simply boiled in the water for soup. Fish such as eels, yellow croaker or little sharks, are chopped into mince, added with salts and condiments, mixed with potato starch and made into ball-like shape. Chopped pork can be stuffed into the ball. The fish ball can be fried with curry, hot peppers or other vegetables.The most common recipe used by the street food vender is simply boiling fish balls in the water and providing them with soup. According to the history, Qin Shihuang (The fist emperor in China) told his cook to prepare a fish dish for every meal, but the fish must be without bones. Picking the meat from the bones is really difficult and the new fish dishes are also difficult to design. One day the cook, getting sick of thinking about new fish dishes for the emperor, chopped the fish on the table to vent. Surprisingly, he found that the fish meat was chopped into mince and the fish bones can be easily picked out of the meat. Therefore he rolled the chopped fish meat into ball-like shape and boil them in the water with condiments. Qin Shihuang liked the fish ball soup a lot and the recipe was adjusted and passed on through generations. Fuzhou fish ball — with pork inside. Southern-Fujian fish ball (脆丸) — without pork inside.